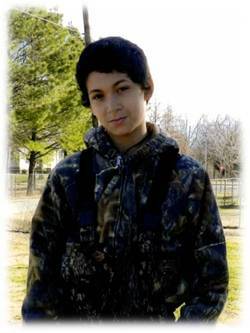 SWIFTON, AR (KAIT) – A teenage boy was found dead Thursday night from what appeared to be an accidental shooting. Jackson County authorities responded to the shooting on Main Street in Swifton just after 5p.m. According to Sheriff David Lucas, officers found Isaac Odell Williams, 14, of Newport dead from a gunshot wound to the face. Sheriff Lucas said that the shooting appears to be accidental, but the case is still under investigation. This entry was posted in Accidental Shooting, Arkansas, Dead, Male Teen on December 26, 2013 by usgunviolence. A Little Rock man was shot and killed Christmas Eve afternoon. 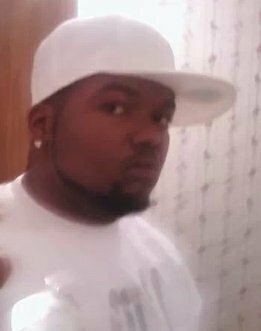 Police were called to 15th & Adams Street around 3:30 Tuesday afternoon where they found 23-year-old Austin Burks shot in the head. He later died at a hospital. A witness told police she had just dropped off Burks at his home, when the driver of older model burgundy Nissan Maxima opened his door and shot Burks four to five times. Police on Friday also identified a suspect in a fatal shooting that occurred Tuesday in another nearby Little Rock neighborhood. Jamar Jordan, 20, of Little Rock is wanted in the killing of 26-year-old Austin Burks, police said. Police found Burks suffering from at least one gunshot wound inside a parked car outside a home at 1505 Adams St.
LITTLE ROCK, Ark. (KTHV) – Jamar Jordan, the primary suspect in the homicide of Austin Burks, turned himself in to police headquarters at 2:35 p.m. on Friday. This entry was posted in Arkansas, Dead, Man on December 24, 2013 by usgunviolence. A 26-year-old man died after police found him slumped over and suffering from an apparent gunshot wound early Monday in Little Rock. 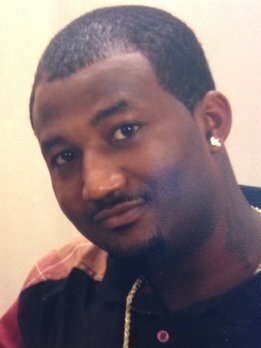 Officers found Little Rock resident Verico Ingram in a Cadillac Deville parked but running in the 4200 block of West 15th Street after a resident in the area heard three shots and observed two men run from the area. Ingram, who police say appeared “to have been shot by a shotgun at close range,” was taken to UAMS Medical Center, where he died. Police say the vehicle had its lights on and two windows broken out. Police have made an arrest in the shooting death of a Little Rock man. Little Rock Police say Kaylon Robinson,15, allegedly shot and killed Verico Ingram,26, on Monday, December 23. It happened around 15th and Abigial Streets. Ingram was found by police slumped over in the driver seat of his car. A witness said she heard about three shots and saw two men run from the area. Lt. Sidney Allen says Robinson turned himself in on Christmas Eve. He is charged with one count of capital murder. Kaylon Robinson’s bond has been set at $75,000 for an additional charge for criminal use of a prohibited weapon. Police responded to a call shortly after midnight Monday morning. A woman says she heard three gunshots and saw two suspects run away. This entry was posted in Arkansas, Dead, Man on December 23, 2013 by usgunviolence. (KATV) SEARCY – Minutes after finishing her shift at Big Lots in Searcy, 50 year old Dina Darden was shot in the parking lot. Police tell Channel Seven that the victim’s daughter is accused in the murder. Thirty-three year old Alexandria Williams is charged with first degree murder. She reportedly did not make it easy for officers to arrest her. The Town and Country Plaza in Searcy is busy with shoppers getting their Christmas list taken care of. Some customers at Big Lots say they had no idea a shooting happened in the parking lot hours earlier at about 12:05 a.m. Searcy police say the verbal confrontation happened between employee, Dina Darden and her daughter Alexandria Williams. Witnesses called 911 with a description of the suspect and pick-up she left in. Darden was rushed across the street to White County Medical Center where she was pronounced dead. He says the women were seen getting along a day earlier. “Something took place between yesterday and today that caused her to go over the edge like that.” Corporal Hernandez says the latest domestic call they received involving the women was earlier this week but Darden, decided not to press charges against her daughter for harassment. 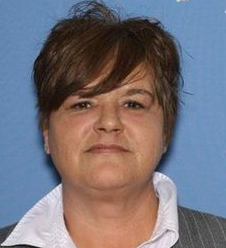 SEARCY, AR — Searcy Police have arrested a woman accused of killing her mother early Friday morning. This entry was posted in Arkansas, Dead, Domestic Violence, Woman on December 20, 2013 by usgunviolence. Authorities are investigating the death of a 42-year-old Stuttgart man following a shooting outside a Casscoe nightclub early Sunday morning. Arkansas State Police Public Information Officer Bill Sadler identified the gunshot victim as Larry Devall Wiley. According to Sadler, Arkansas County sheriff’s deputies responded to an armed disturbance call around 2:30 a.m. Sunday outside Night Club 33, located at 235 Highway 33 near Casscoe. Wiley was found dead in the club’s parking lot. Wiley’s body was ordered to be transported to the state crime laboratory for examination. This entry was posted in Arkansas, Dead, Man on December 15, 2013 by usgunviolence. A 23-year-old man died after being shot Friday night during an attempted robbery at an ATM in Jacksonville, authorities said. Police say they responded about 8:30 p.m. to the 600 block of West Main Street and found Marcus Israel in a vehicle that had crashed into a building. He was suffering from multiple gunshot wounds. “The investigation has revealed that this was an attempted Aggravated Robbery at an ATM,” Jacksonville police Capt. Kenny Boyd said in a statement. 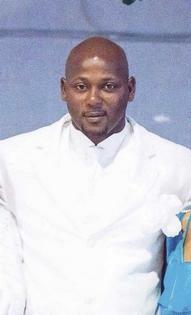 Israel was taken to a local hospital, where he died Saturday. 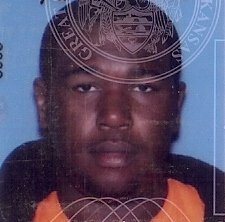 The Arkansas Democrat-Gazette reports (http://bit.ly/1bTx9E1 ) that police arrested 19-year-old Lerome Deshawn Kelley on suspicion of capital murder and aggravated robbery. Police say Kelley is accused in the death of 23-year-old Marcus Israel, who was shot Friday during an attempted holdup at an ATM in Jacksonville. Police say Israel died Saturday morning at UAMS Medical Center in Little Rock. This entry was posted in Arkansas, Dead, Man, Robbery at Gunpoint on December 13, 2013 by usgunviolence. MADISON COUNTY, Alabama – The woman shot to death at her home on Saturday has been identified as Amy Murphy. Madison County Coroner Craig Whisenant said Murphy was 34 years old and she lived at the house on Jordan Road where the shooting occurred Saturday. She died at around 6 a.m. and was found dead in a bedroom at the home near Shields Road. A state trooper near Clarksville, Ark., spotted a car matching the description of a vehicle sought in an Alabama homicide case. The trooper stopped the car on Interstate 40 around 12:50 p.m. Sunday. State Police issued a statement today releasing the name of an Alabama murder suspect who they say killed himself yesterday on I-40 after fleeing and being chased by an Arkansas State Troopers. 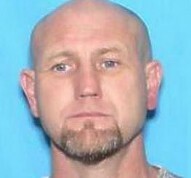 ASP identified the man as Lindsey Scott Carter, 44, of Paint Rock, Ala. Police in Alabama were seeking him for questioning in the murder of 34-year-old Amy Murphy, who was found shot to death in her home in Madison Co., Alabama early Sunday morning. According to Arkansas State Police, Carter was in a car with a female driver when a trooper initiated a traffic stop on I-40 westbound near Ozark in Franklin County just before 1 p.m. yesterday. As the car pulled off the road, the female jumped from the car and fled into the woods. After the trooper began to chase her, Carter took the car and then sped away on I-40. Just after 1 p.m., troopers spotted the car on I-40 and a short chase ensued. After the car pulled over, troopers approached, only to find Carter dead at the wheel, the victim of an apparent self-inflicted gunshot wound. Troopers were able to arrest Carter’s 36-year-old female companion. She has since been released, and will reportedly face no charges in connection with the incident. This entry was posted in Arkansas, Dead, Man, Multiple Shooting, Murder-Suicide on December 8, 2013 by usgunviolence.